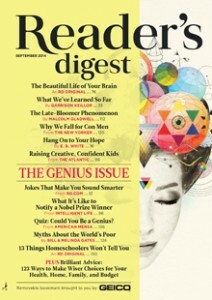 The head honchos at Reader’s Digest have changed their minds. After two years of publishing 12 issues, the New York Post reports that the magazine will cut back to 10 issues per year. The decision comes almost exactly two years after RD announced it was increasing its frequency to 12 a year. So what changed? RD was a little disappointed with digital subscriptions. “We were one of the first publishers to go after digital subscriptions with the iPad and the Kindle, but they plateaued,” Liz Vaccariello, RD’s editor-in-chief, told the Post. The change will begin with the December/January 2015 issue.